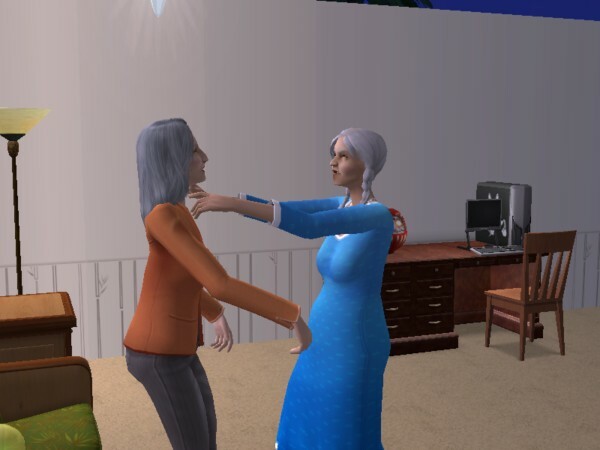 I don't just play one family in the Sims 2 so this will just be pictures with captions of events that are happening in my game. 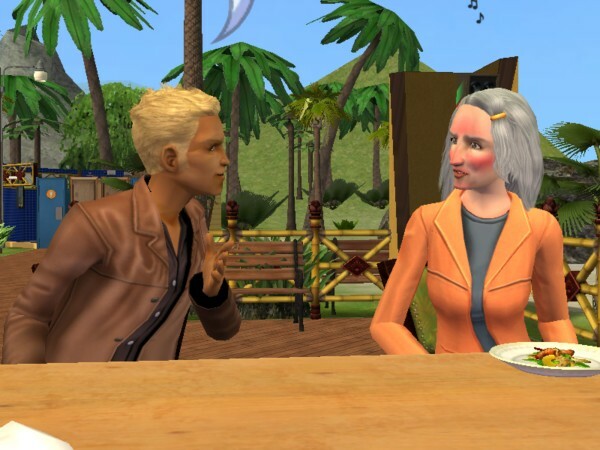 Malcolm Landgraab is a handsome fellow and he could probably have anyone he wants. Who did he want? Denise Jacquet. Yep, she is a little older than he is, but they had the spark (2 lightning bolts) right away. 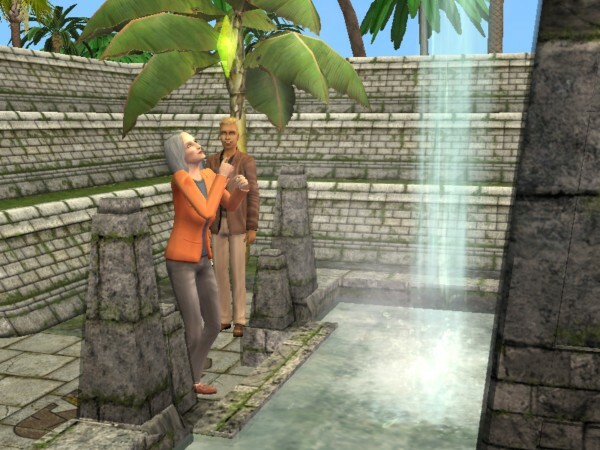 After they were married, they went to Twikkii Island for their honeymoon. Dora Ottomas must have been REALLY upset with Denise to travel all the way to Twikkii Island after Denise looked through the telescope. Must have been a very strong telescope to see all the way back home too. After sunbathing on the beach, Malcolm got a lovely tan and poor Denise got a sunburn. Ouch! They met a pirate ghost and learned to sing the Sea Shanty. They both learned the fire dance. It took two days, one day each, because it is so tiring. After another morning of sunbathing, Denise got a tan. I always use the attractions of fit, swimsuit and dislikes fat. At this point they are both fit and there are 3 lightning bolts. They still have a couple more days in Twikkii Island. They have seen all the sights and Malcomn will spend some time increasing his skills and Denise will be making friends. Time for Malcolm to get a job for his LTW when they get home. Oh, btw, Denise completed her LTW already. It did look painful didn't it. So glad it didn't last. 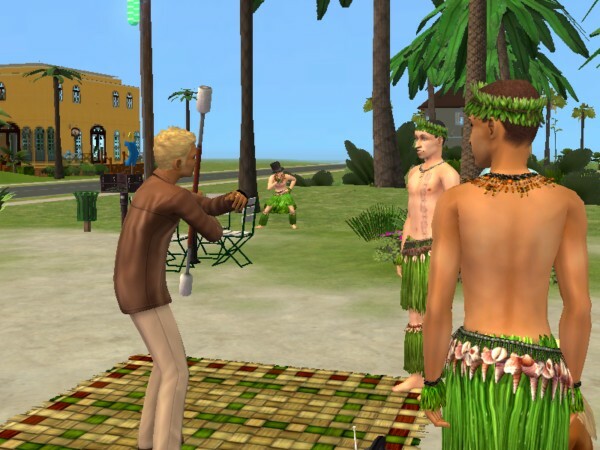 Yeah, traveling in the Sims 2 costs money and there is not much opportunity to make any money. Great for away time to skill and make friends though. Forgot Toddlers could dance to the stereo. Thanks ladies. 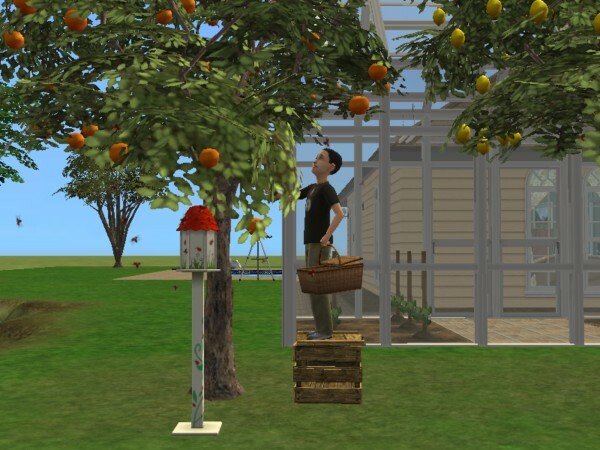 It's adorable what the toddlers in Sims 2 can do. Ah, so many memories. It is fun to see these. I'd forgotten about the toddlers 'dancing' to music. That is too cute. 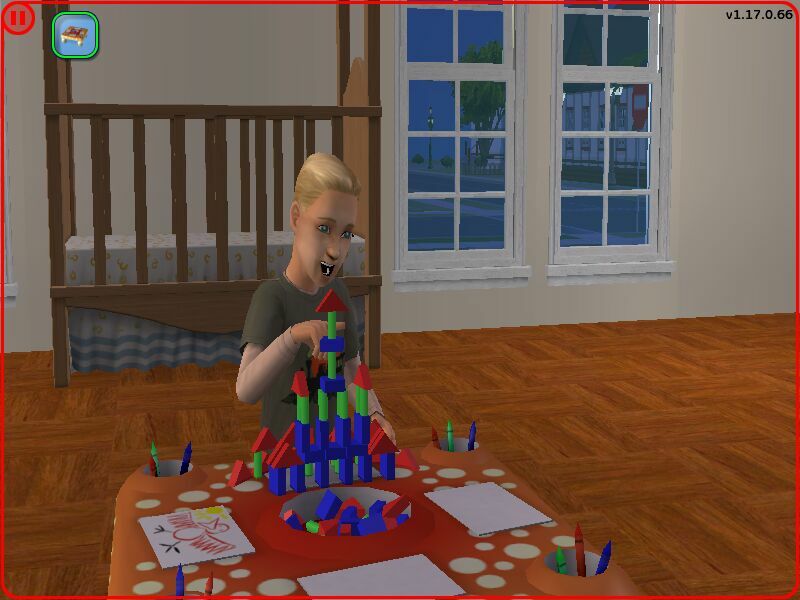 The children in Sims 2 can build some great stuff on the crafting table. 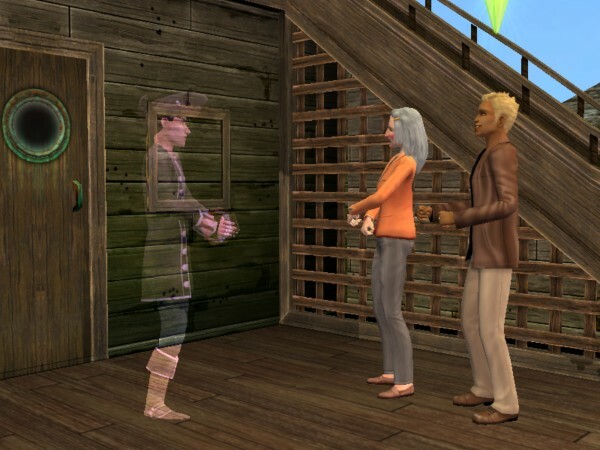 I've never noticed if they do the same in Sims 3. This is Trueman. He was quite proud of this. You can even take the drawings off of the table and hang them on the wall. 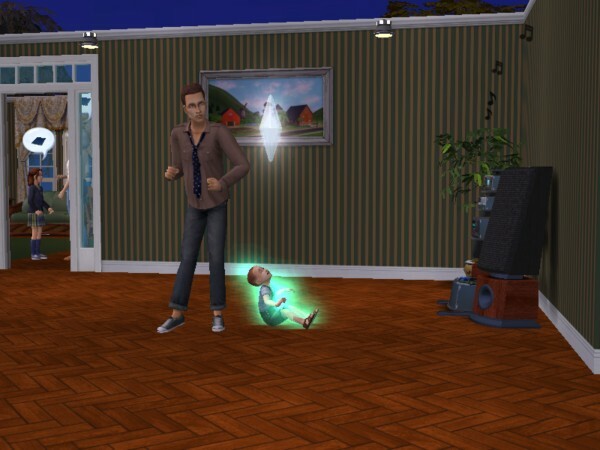 There are some things that were much better done in Sims 2, especially babies and toddlers. 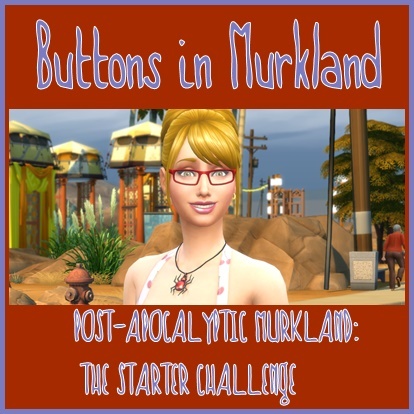 I've been playing a lot of Sims 2 lately. I remember the stepstool. Forgot kids used a crate to pick apples. This is so cute. Brothers dancing together.